A £7.6m budget hotel on Blackpool's seafront has got the go ahead despite opposition from existing hoteliers in the resort. Blackpool Council's planning committee narrowly approved the application by Easyhotels, part of the Easyjet group, for a 107-bedroom property on an empty plot of land on the Promenade in South Shore. 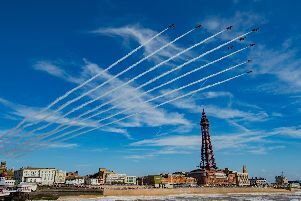 He said: "Blackpool is already saturated with low end accommodation and all the projects undertaken so far have been about attracting better quality visitors. "So this is going against everything the council is trying to encourage in this town. "The local accommodation providers are Blackpool ambassadors. Unfortunately low paid and low skilled workers won't be promoting Blackpool, they will be there to do a job." Concern was also raised that 31 rooms will have no windows. But representatives of Easyhotels assured councillors the rooms would still be high quality, minimum three star and comparable to the Premier Inn brand. The company's agent Philip Grant said: "It is budget accommodation, but good quality and not just intended to attract visitors. 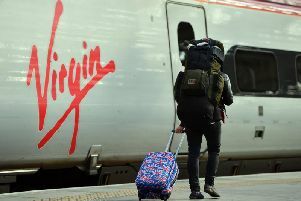 "It is aimed at business users as well including people who might be visiting Blackpool for conferences. "It is considered to be good quality affordable accommodation that would allow guests to spend more money in the area." Committee chairman Coun Lynn Williams said: "That site has looked like a bombsite for so long. We need something there of quality and some investment in South Shore." Coun Andrew Stansfield said he was concerned about the lack of parking. He said: "There are no parking facilities in an area which already has huge parking issues. I don't think it's the right application for the site." The scheme will be four to five storeys in height and also includes a ground floor lobby and restaurant. The top floor will be set back to break up the visual impact of the building.